JEFF ORLOWSKI is the director, producer, and cinematographer of the award-winning films Chasing Coral and Chasing Ice. Chasing Coral received the US Documentary Audience Award at Sundance in 2017. Chasing Ice received the Documentary Cinematography award at Sundance in 2012 and was nominated for an Academy Award for Best Original Song. Both films were shortlisted for an Academy Award for Best Documentary, screened at Congress and the United Nations, and have many other awards and accolades from film festivals around the globe. Jeff founded Exposure Labs, a production company dedicated to impact through film. He lives in Boulder, Colorado, with many plants that his roommate helps to keep alive. LARISSA RHODES is a filmmaker and the Director of Creative Development at Exposure Labs, where she develops projects motivated by social impact. Most recently, she produced the Sundance, Peabody, and Emmy award-winning film, Chasing Coral, a feature film following a team of adventurers working to reveal how the oceans are changing. Rhodes previously worked on the Emmy® Award-winning documentary, Chasing Ice. She holds an MFA in Film from Columbia University and a BFA & BA from the University of Colorado in Film Studies and International Spanish for the Professions. SAMANTHA WRIGHT is the Managing Director of Impact at Exposure Labs, leading efforts to leverage film to drive social change. A social entrepreneur at heart, Samantha was previously VP of Global Programs at Girl Rising, where she led projects to catalyze the girls’ education movement. This included building the US domestic campaign, and architecting Girl Rising’s expansion to India. Other highlights include running TEDxBeijing; working with Lao farmers at the UN World Food Programme; advocating on behalf of political prisoners in Uganda; and starting inner-city literacy programs in Canada. Samantha holds an MPhil in International Relations from the University of Oxford. VICKIE CURTIS is a writer and story architect with over a decade of experience adapting true stories for the stage and screen. Relying on a nuanced understanding of the elements of narrative, she works to steer creative teams towards the story they want to tell. Recent projects include writing the Sundance award-winning film CHASING CORAL (2017) and story architecture for documentaries ANBESSA (Berlinale, 2018), ADVENTURE NOT WAR (Tribeca, 2017), ISLAND SOLDIER (Hot Docs, 2017) and FRAME BY FRAME (SXSW, 2015). Before filmmaking, Vickie taught high school humanities with an emphasis on interdisciplinary, project-based learning. Vickie earned her MFA from Naropa University. STACEY PICULELL is an independent producer specializing in content and post-production for courageous and evocative projects. With over a decade of experience in the successful execution of commercial, video, and written content for start-ups, internationally recognized ad agencies, and bourgeoning documentary filmmakers, she is energetically and meticulously committed to delivering on the visions of her creative partners. Stacey is the Production Supervisor for Exposure Labs' forthcoming Untitled Reef Project. Recent collaborations include award-winning independent films, Frame By Frame (SXSW, HotDocs, BFI London Film Festival) and Valley Uprising. At Rock Paper Scissors, Cutters, Beast and Cosmo Street (New York), she has produced nationally broadcast TV commercials for a wide range of clients. Stacey earned a Masters degree in Film Studies from New York University. ANDREW ACKERMAN is a Production Coordinator and Videographer for Exposure Labs. His passion for film developed along side his passion for scuba diving in Florida and witnessing the abundance of beauty the ocean has to offer. Andrew is passionate about the ocean and animal conservation. 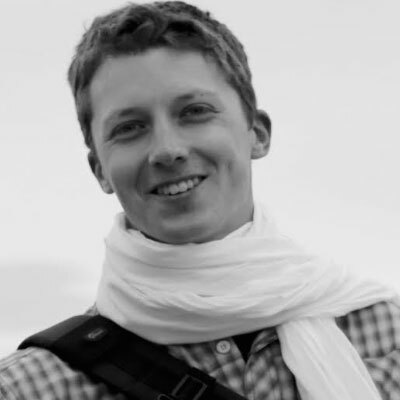 Andrew is a graduate of Middlebury College with a degree in Film. MAX STEINMAN is the Campaigns Director at Exposure Labs, crafting content and experiences that capture the energy of our films and drive viewers to take action. Max combines over ten years of brand strategy, research design and communications planning to build movements for government agencies, NGOs and socially-minded brands. Most recently, Max launched BreatheLife, a campaign led by the World Health Organization to raise awareness of the staggering health and climate impacts of air pollution and built a network of cities working to advance clean air solutions. Other notable campaigns include a national road tour supporting mail-back of the 2010 Census, and HackHarassment, an initiative of Intel to engage the tech community in combating online harassment. MEGHA AGRAWAL believes in the power of sharing stories and building partnerships to inspire action. As Director of Programs at Exposure Labs, she is constantly in search of new and meaningful collaborations with creators, cities, and corporations. Previously, Megha worked at the innovation firm, IDEO, where she helped purpose-driven organizations grow through human-centered design. She holds a B.S. in Learning and Organizational Change from Northwestern University. When she is not devouring all the latest articles, you can find Megha exploring trails or tracking down the best ice cream with her puppy in Boulder, Colorado. MARK CRAWFORD is a short-form content consultant and a producer, documentary filmmaker, and composer. As a composer, Mark’s credits include music for videos featured on Fast Company, National Geographic, as well as music for the Emmy® Award-winning feature documentary Chasing Ice that screened at the 2012 Sundance Film Festival. As a filmmaker, in 2013, Mark directed a team of 10 incredible filmmakers as they sailed around the world for 4 months, documenting the stories of 11 entrepreneurs for the Unreasonable at Sea project. Mark has a BFA from the University of Colorado in Film Studies. SAVANNAH MILLER is the Program Strategist at Exposure Labs, helping design organizing models where film can accelerate local climate action. Prior, Savannah worked with the City of Atlanta Mayor’s Office of Sustainability to help build their urban agriculture brand strategy and associated community outreach campaigns. Savannah holds an MPA in Environmental Science and Policy from Columbia University’s Earth Institute and School of International and Public Affairs. MEGHAN WELSCH is the Manager of Global Screenings and Outreach at Exposure Labs. She works with individuals, groups, and organizations to support educational screenings and large community events. Meghan joins Exposure Labs with a background in film and technology. Her previous experience includes B-Side Entertainment + Festival Genius, the first of its kind in-home distribution platform, and scheduling app for film festival websites. Additionally, since its launch in 2012, she was an integral part of the development of Tugg, Inc., a crowdsourcing platform for movie screenings. She has managed and strategized with over 200 independent films, including Tugg’s largest releases Touch the Wall, Lazer Team, and Worship Night in America. BRE GRAZIANO is Exposure Labs’ Digital Community Manager, engaging our global communities of friends both on and offline. Most recently, Bre managed digital communities of moms around the world, equipping them with the resources and support needed to raise the next generation of global citizens. In addition, Bre is the Founder and Director of Fellow Magazine, and is currently working on another print issue that celebrates what being a good neighbor really looks like. Bre is passionate about her belief that investing in our local and global communities can transform the environment around us for the better. ZACKERY RAGO is the Youth Outreach Manger for Exposure Labs' Chasing Coral Impact Campaign and is thrilled to engage youth around the globe through science, art, and passion. Zack’s passion for coral reefs began in the Hawaiian Islands where he spent his childhood summers under the waves of the Pacific. His infatuation with coral led to a position in the marine aquarium industry for 4 years before bringing his passion to Teens4Oceans and View Into The Blue. He received a degree in Evolutionary Biology & Ecology from the University of Colorado at Boulder. As a talented reef aquarist and long time scuba diver, he is dedicated to communicating the story of coral through science and art. PATRICK BEHAN is a filmmaker whose work includes several feature films, both documentary and narrative. His contributions to independent films and digital media have come in the form of cinematography, editing, motion graphics, and graphic design. Patrick’s participation on the Emmy® Award winning feature documentary Chasing Ice has intensified his enthusiasm for the natural sciences and the social and ecological problems facing our world. Above all, he is a dedicated storyteller who seeks to share important and well-crafted stories with broad international audiences. DREW LEVIN is a camera operator and behind the scenes photographer for Chasing Coral. He is an award-winning cinematographer and photographer based in Brooklyn, NY. Combining his documentary background with a cinematic aesthetic, Drew has worked for an extensive client list including Google, Vogue, Maybelline, Interscope Records, Bacardi, IMG, SXSW, and TRESemme. 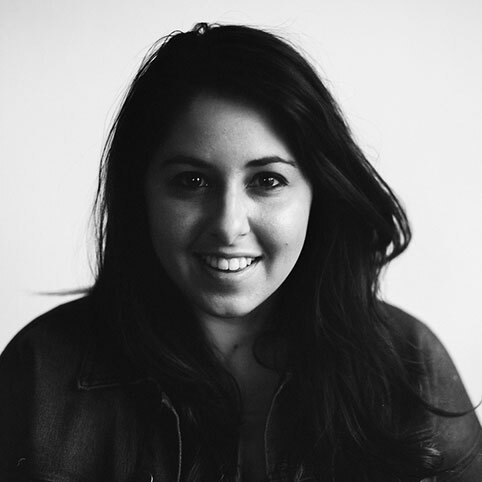 SAMANTHA ADLER is the Campaign Strategist at Exposure Labs; she’s focused on formulating strategies around social impact through the power of our films. Samantha is a passionate storyteller interested in the intersection of climate change and human rights, with a background in digital program strategy and journalism. Most recently, she’s worked for Yale’s Program for Climate Change Communication promoting research around a multifaceted approach to climate change social research, including their landmark publication “Global Warming’s Six Americas.” She has also worked as a journalist for Alliance Earth, writing and reporting on environmental issues, including an assignment in Botswana’s Kalahari Desert. Prior, Samantha acted as the Global Communications Manager at Girl Rising. Projects included constructing a communications strategy with the White House in relation to the First Lady’s Let Girls Learn initiative. Samantha holds a BA in Journalism and Cinema Studies from New York University. ALAN CHAN is the Director of Development and Operations at Exposure Labs, establishing the infrastructure and strategy to scale social change through film. Previously, Alan was with Turner, a global media company, as part of the Corporate Development group where he evaluated and executed acquisitions, investments and strategic initiatives. He holds a B.S. in Economics from the University of Pennsylvania. Based in Atlanta, Alan can be found sprinting up hills in the neighborhood and forever attempting to train his dog, Kane.